It is our mission to "Educate, Motivate and Support people to live a healthier, happier life both naturally and spiritually". Your generosity will make a difference in the community by allowing us to continue in our work by educating and feeding others through much needed community programs and classes. You can either donate online or by mailing a check made payable to Perfect Health Holistic Institute,INC. Remember that every donation makes a difference, regardless of size. 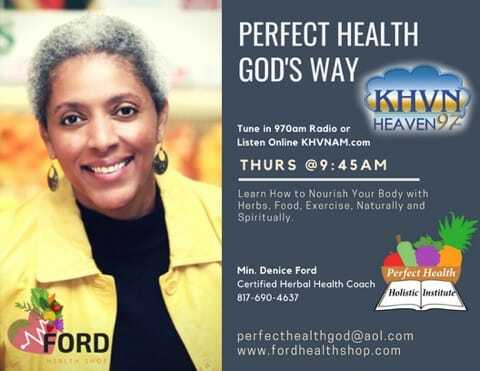 Tune in every Thursday to learn how to nourish your body with Herbs, Food, Exercise, Naturally and Spiritually on our radio broadcast.